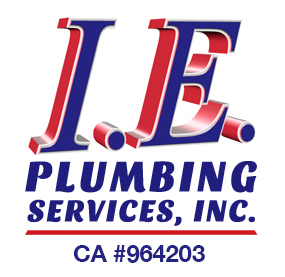 Corona, California Plumbing Services | IE Plumbing Services Inc. 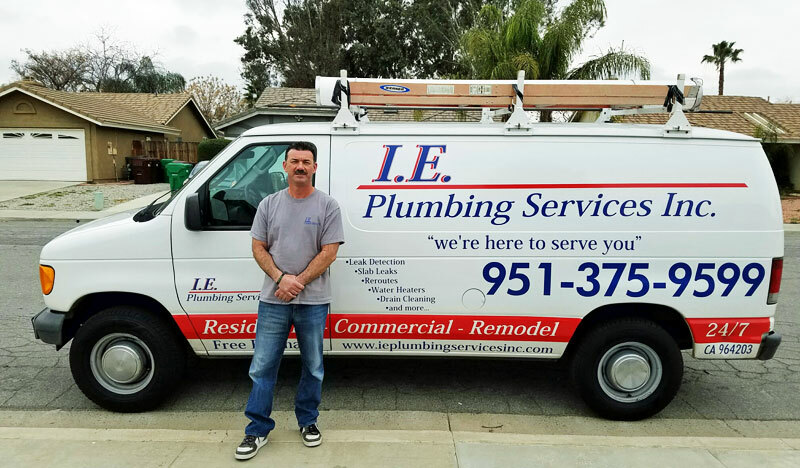 Need A Professional Plumber In Corona? Plumbing problems range anywhere from minor annoyances to bringing your day’s routine to a halt. Whenever you need help in Corona, California we’ll be there promptly, 24 hours a day. Offering complete plumbing and drain cleaning services, you can count on us for expert diagnosis, quality workmanship, and competitive rates. Our special expertise includes repairing and installing water heaters, leak detection, slab leak repairs, and hydro jetting for drain cleaning and sewer cleaning. Whether you need a residential plumber, a remodeling plumber, or commercial plumbing services we have you covered in Corona. 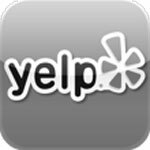 Family owned and operated we’re an insured, bonded, and California licensed plumbing contractor. 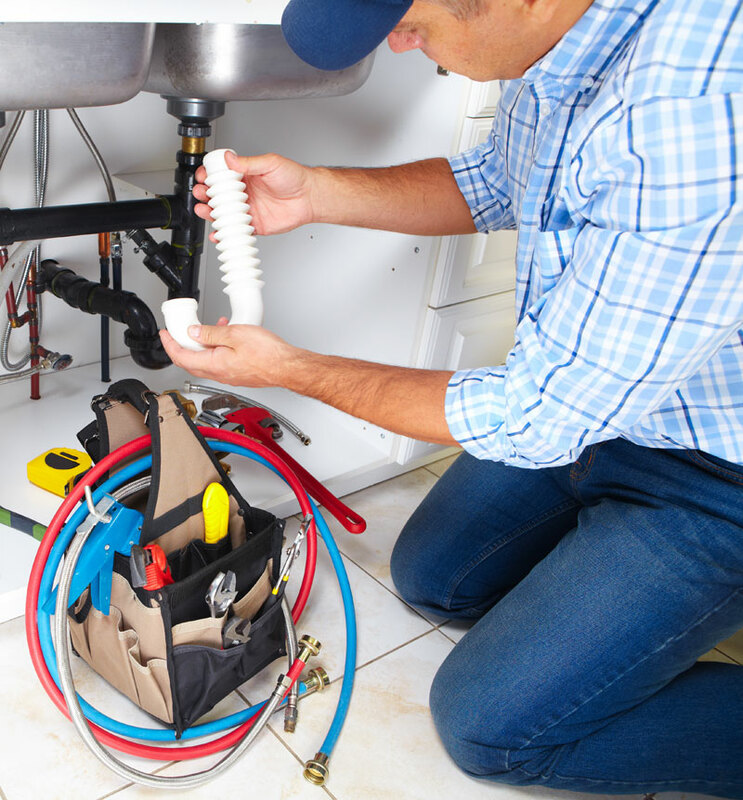 Our highly trained technicians along with apprentice and journeyman plumbers can expertly handle just about any routine plumbing problem at economical rates. And our master plumbers can tackle gas lines and other advanced work making us a single full-service company for all your needs. Our emergency services are available 24/7. You’ll always get a free no-obligation written estimate, and we stand behind all our work. Things are rarely as quick and simple as they appear in how-to videos. There’s usually something that’s a bit different or completely unexpected that slow things down, become headaches, or stop you in your tracks. So unless you have an excess of free time you’ll be glad you called. Our residential clients include homeowners and HOAs as well as apartment owners and property managers. 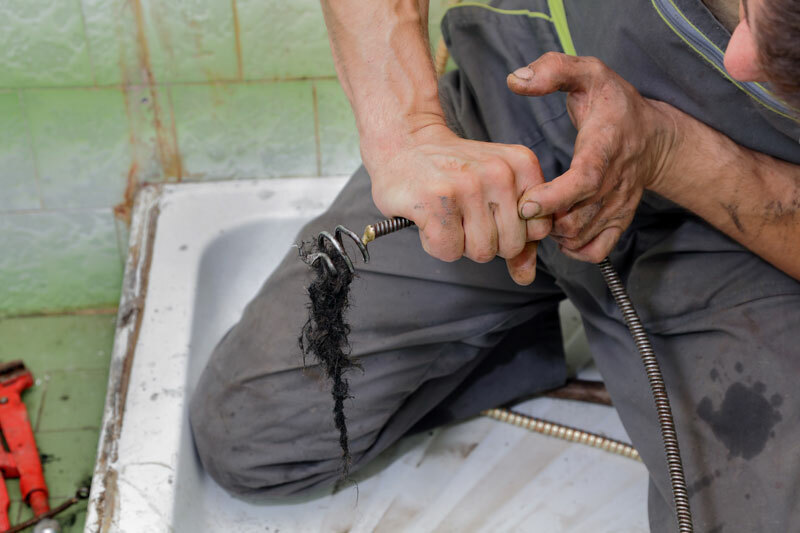 Our residential plumbers are pros at garbage disposal, faucet, and toilet repairs. We also have experts in the installation, maintenance, and repair of major appliances (including gas stoves and clothes dryers), water softeners, and under-sink filters. Needless to say our commercial plumbers are experts when it comes tenant improvements along with high-use fixtures and appliances for all the above services. Experienced in large-scale plumbing systems they also understand the needs and circumstances of HOAs and property managers, including documentation and accounting compliance. Our entire team shows respect for your tenants and has the goal of building long-term working relationships with you. Any drain can clog and become slow running or completely blocked, but for different reasons. In the bath the problem is usually hair and soap scum. Sometimes you can just pull it out, and sometimes liquid drain cleaners work well enough. But kitchens can be the worst, and not just because you’re stuck with a sink full of dirty dishwater. Here the blockage is usually a build up of grease. Do-it-yourself drain cleaning and even professional drain snaking are often ineffective in the long run. If you’ve had chronic drain problems or if we start pulling out lots of white grease or black sludge, ordinary drain cleaning and rooter services are probably not a long-term solution. For these situations we’ll bring in our heavy-duty hydro jetting equipment. It uses powerful jets of water to cut through clogs, scour the pipe clean, and flush away the debris all in one operation. For the toughest jobs we have rotary nozzles (unique even among plumbers offering hydro jetting in Corona), and 500 foot long hoses for the length of just about any drain pipe or sewer line. If you’re having problems with several drains or a backed up toilet you probably need sewer cleaning. Our experts will know for sure. They send HD video cameras down sewer lines to determine the location and exact nature of the problem. From there, after discussing their findings with you and getting your approval, they can proceed with a drain snake, auger, or hydro jetting (that can even cut through tree roots). As necessary we can also repair and replace sewer lines. No hot water, or not enough? Strange noises from the tank? Smelly or rust-colored hot water? Our trouble-shooting pros will go straight to the problem saving you time and money on water heater repairs. We’re also pros in replacement and new water heater installation, both gas and electric. We’ll make sure everything’s up do code, and take care of the Corona building permit. And we’re up to date on the latest on high-efficiency and instant / tankless water heaters. Some water leaks are obvious, some not so much. Your only clues may be increased water usage on your Corona utility bill, damp or warm areas, or musty odors (from mold). Our leak detection experts draw on their training, experience, and the latest in state-of-the-art instruments. That includes ultrasonic gear, thermal imaging cameras, and in-pipe video. They’ll pinpoint the location without making a single hole in your walls, floors, or lawn. So there’s no reason to neglect your suspicions and risk adding water damage to your repair costs. As a full service plumbing contractor we’re ready for leak repairs as well. If a gas, sewer, or water leak happens to be underneath the concrete floor slab (a common type of construction in Corona for decades) they’re called slab leaks. They’re more difficult to notice, but if ignored can lead to extensive structural damage as they undermine the foundation. And they need a true expert’s attention. You don’t want to go through hacking a hole through the concrete and later replacing flooring only to have the disruption and expense of another slab leak in just a couple of years. 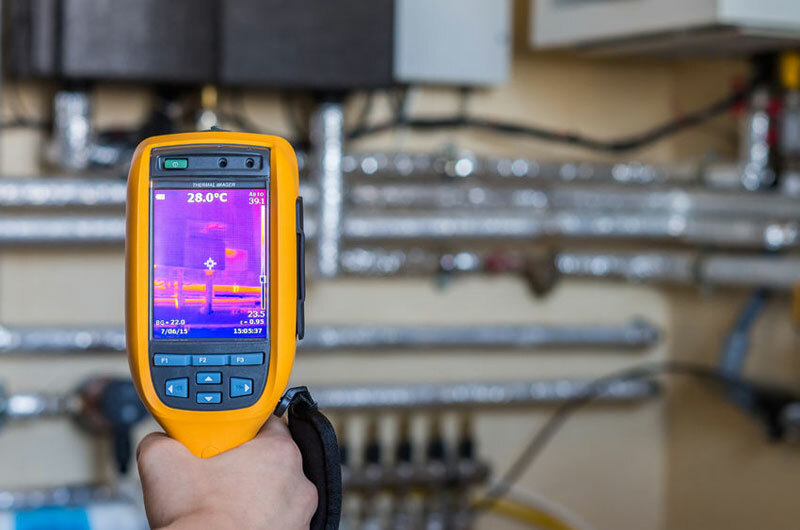 We’ll assess the type (galvanized steel and soft copper pipes are more prone to problems) and general condition of your pipes and may be able offer alternatives such as repiping around the outside of the floor slab. As in all our work, whatever the best solution happens to be we make sure that our slab leak repairs are done right the first time, every time. As recently as 2010 the Inland Empire had major water quality problems (http://www.lifeincorona.com/news/corona-norco-contaminated-water/), nitrates from fertilizer runoff and perchlorates from military manufacturing in particular. Fortunately recent measurements (http://discovercoronadwp.com/pubs/CCR/2016-CCR.pdf) show Corona at well below maximum safe levels for all contaminants. But Corona homes and businesses still have to deal with hard water, although at levels less than the US averages. That’s in no small part due to the Arlington Desalting plant. The majority of supply (64%) comes from local wells while most of the remainder (27%) comes from the Colorado River via lake Matthews. Those natural sources range from 113 ppm (parts per million) to 397 ppm of calcium and magnesium, whereas output from the desalination plant comes in at only 11 ppm. An overall average of roughly 150 ppm puts it in the “hard” category. That’s better than the “very hard” rating for most of Southern California, and enough to foul water heaters and plumbing. If you have any questions or concerns about Corona water quality just ask to speak with one of our water softener and filter experts.